MANILA, Philippines – The Philippine military on Saturday declared an eight-hour halt to its air and ground offensive against Islamic militants aligned with the Islamic State group in southern Marawi city to allow residents, most of them displaced by the fighting, to celebrate the end of the Muslim fasting month of Ramadan. Military spokesman Brig. 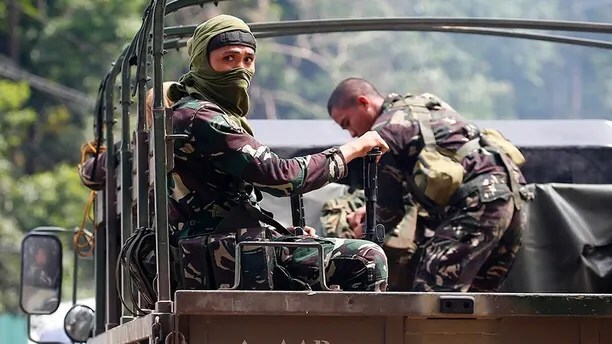 Gen. Restituto Padilla said the “humanitarian pause” in military assaults will take effect at 6 a.m. Sunday in predominantly Muslim Marawi but will be lifted immediately if the militants open fire or threaten troops and civilians. The fighting has forced more than 300,000 people to abandon their homes in Marawi and outlying towns and flee to evacuation centers, which rapidly became overcrowded, making it difficult for them to celebrate the Eid el-Fitr holiday.